Many residents in our neighborhood will see a significant increase in their 2014 property tax thanks to the Actual-value Initiative (AVI). However, if you meet certain requirements involving the length of time you’ve lived in your home and your income, you may qualify for relief from the Longtime Owner Occupants Program (LOOP). We have seen many positive changes to our neighborhoods. And with those changes some home values have risen, causing some longtime homeowners to face potentially steep increases in their tax bills. 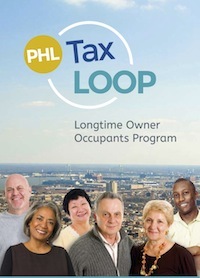 Homeowners with substantial changes in their property assessment may qualify for a discount on Real Estate Taxes with the Longtime Owner Occupants Program (LOOP). Check if your home qualifies for LOOP and how much you can save. Posted in Area Info & Events.